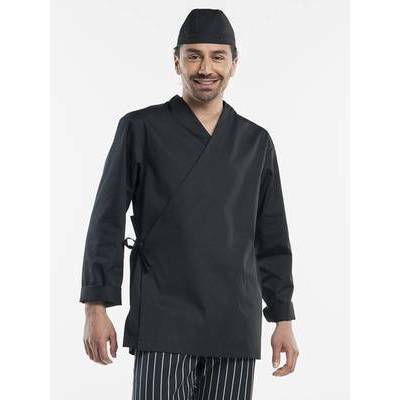 This Chaud Devant Ni-Hon chef jacket naturally is inspired by �the Land of the Rising Sun�. It is a wrap-around jacket that is reminiscent of a traditional kimono and the concealed ribbon with snap fasteners means it is adjustable. This Chaud Devant Ni-Hon chef jacket is traditional but practical and modern too. The �Japan� embroidery work on the back completes its minimalist, Eastern look.